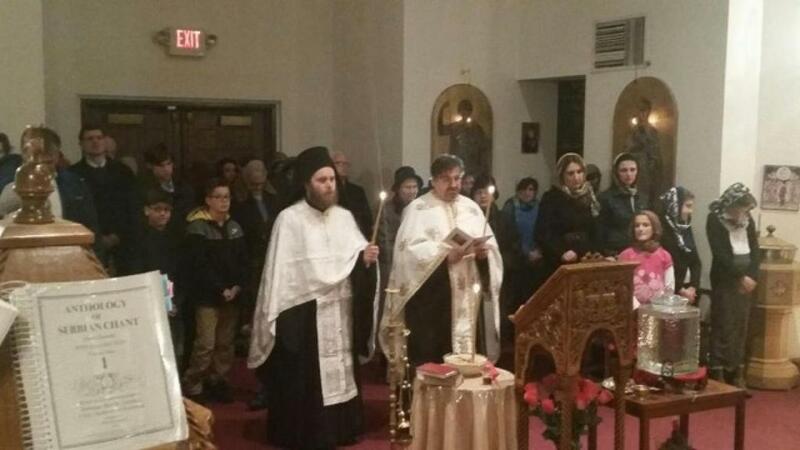 Richfield,OH - On the occasion of the 40th day of the eternal repose of The Very Venerable abbess Mother Ana Radetic, on January 22nd, 2016, the holy liturgy was served in the New Marcha Monastery in Richfield, OH, followed by the memorial service. 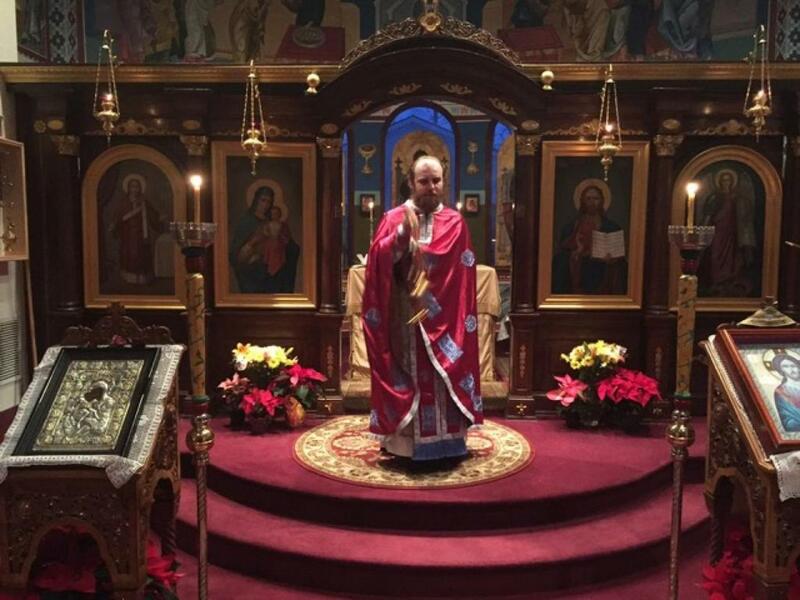 With the blessing of The Right Reverend Bishop Dr Mitrophan, The Hieromonk Platon Jovic officiated the holy liturgy accompanied by the nuns from The New Marcha monastery and the sisterhood of The Nativity of the Holy Theotokos Monastery from New Carlisle, Indiana, at the lectern. 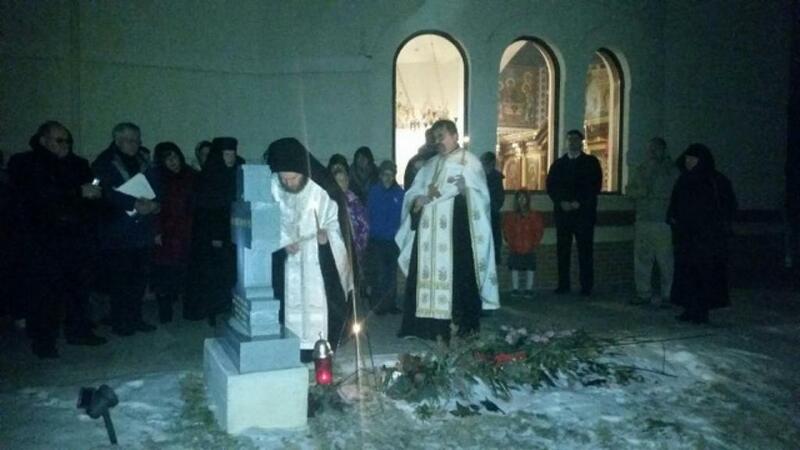 On the previous night, January 21st, 2016, Hieromonk Platon and The Very Reverend Father Milan Medakovic served the memorial service – parastos in the monastery church, and the small pomen service at the mother Ana’s grave shortly after that. A large number of people alongside the spiritual children and friends of the blessed-reposed abbess attended the service. 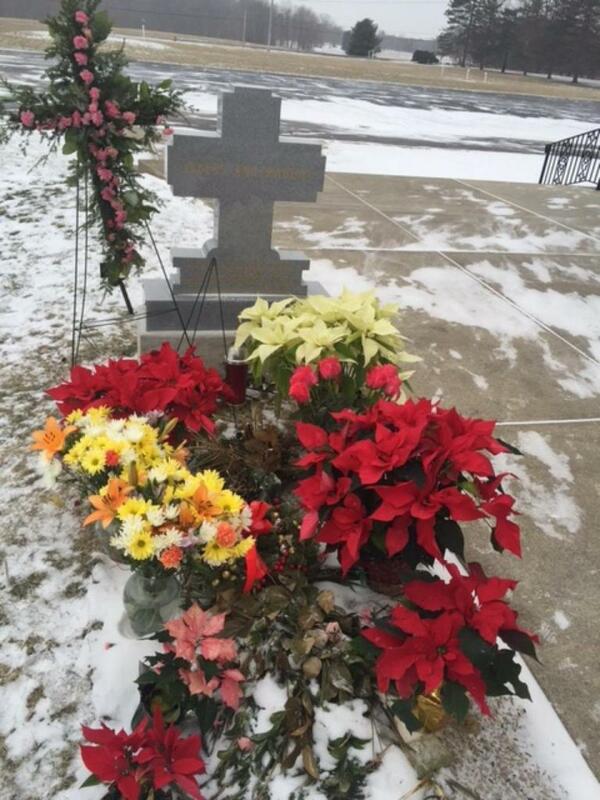 With the utmost diligence of the sisterhood and the admirers of Mother Ana, the memorial luncheon was served afterwards.